Ever Wonder How The Hells Angels Motorcycle Club Got Its Name? Curious About That Demonic Critter On The Pagan's Patch? What About The Local One Percent Motorcycle Club That Hangs Out At The Corner Bar? 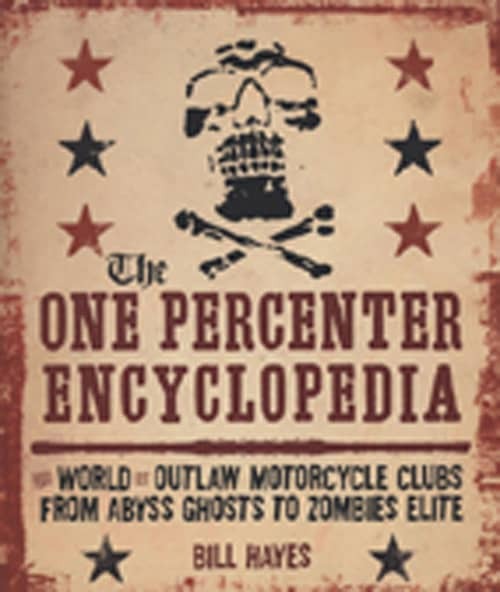 The One Percenter Encyclopedia: The World Of Outlaw Motorcycle Clubs From Abyss Ghosts To Zombies Elite Answers These Questions And Fills in The Blanks On Many More. Author Bill Hayes Takes You Deep Inside The Secretive, Sometimes Dangerous, Yet Always Exciting World Of Outlaw Motorcycle Clubs. Learn About When And Where These Clubs Were Founded, About The Colorful, Sometimes Crazy People Who Started Them, And Why Many Of Them Are Famous - Or Infamous. Through Painstaking Research, First-Hand Interviews With Members Of The Major Clubs, And Rare Club Photos, Bill Hayes Brings The World Of The One Percenter To Life. The One Percenter Encyclopedia Presents, For The First Time Ever, A Thorough Resource For Anyone Interested In The One Percenter World. Customer evaluation for "One Percenter Enyclopedia - Bill Hayes: World Of Outlaw Motorcycle Clubs"